A great way to safely store your rods! The perfect solution for hanging up to 6 rods on the wall! 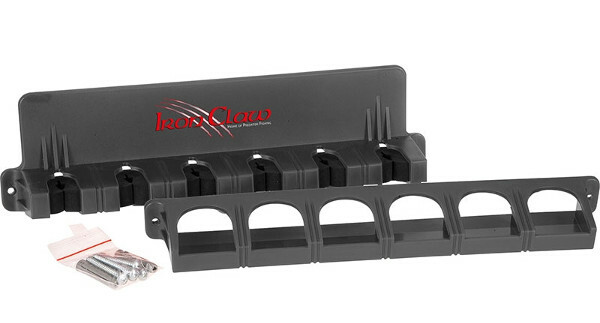 This rod rack by Iron Claw can easily be attached to the wall with the included screws. Perfect for the garage or hobby room. 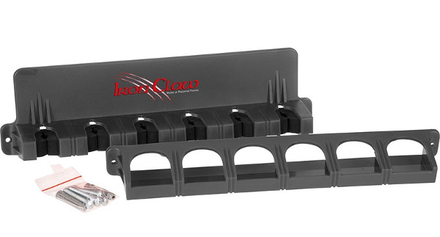 The rod rack is suitable for all types of spinning and casting rods. The use of foam rubber prevents your rods from getting damaged. A must-have for every serious angler!